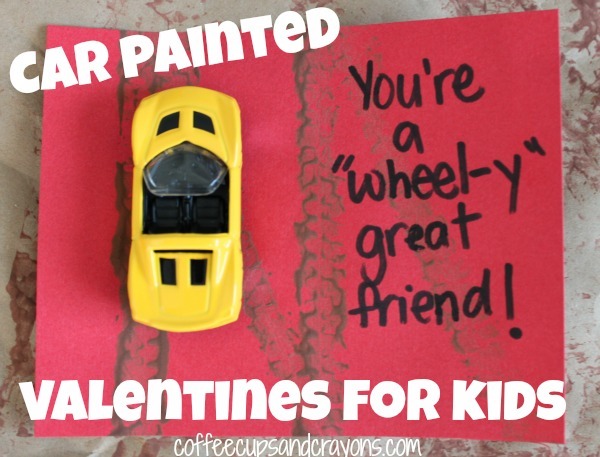 My kids love making homemade valentines and love painting with cars so it’s easy to see why these “You’re a wheel-y great friend!” valentines are such a hit! We first made them when my son was two for all of his friends and since then we’ve made them as valentines, thank you cards, birthday cards…pretty much anything you can think of! My three year old is very excited to get to make valentines to pass out to her friends this year and these are perfect! So today I set up an invitation to play and paint for her and her brother. 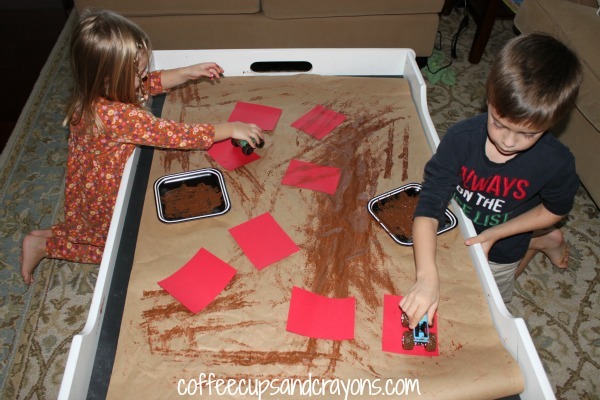 I crumpled up some of our brown craft paper to look like “hills and valleys” and laid it out on our chalkboard table. I then set some of the red cards on top of it. 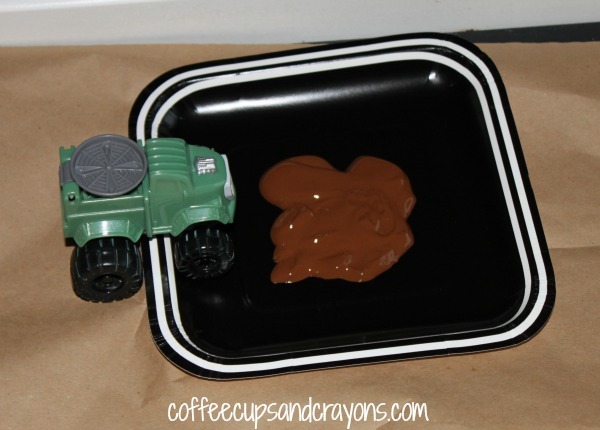 I put a pile of “mud” on a small plate and got out a couple of cars to paint with. Then they got to work! They drove and painted and had a lot of fun driving through the paint and all over the paper. Super easy and fun! 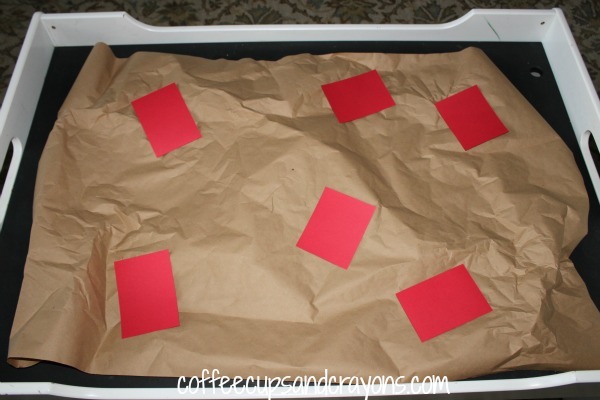 What types of cards and valentines do your kids like to make? 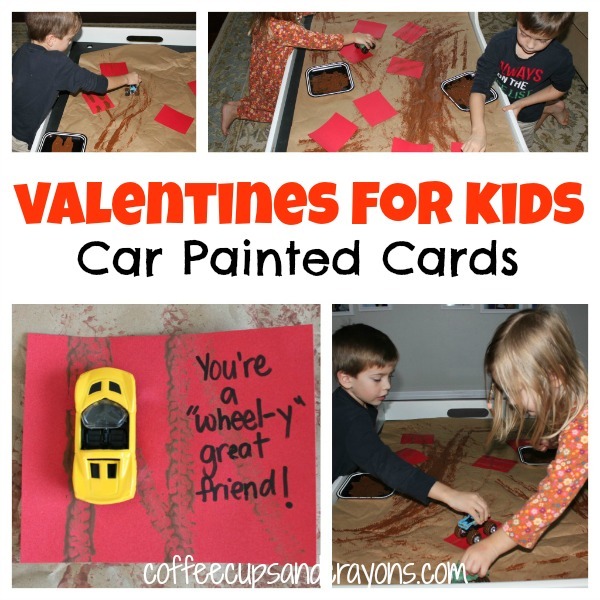 If you have a car lover Toddler Approved also shared a cute car themed valentine this week–check it out! Cute! We just painted a canvas with our trains (http://play-trains.com/painting-with-trains/) and it would definitely make cool valentines, now that I think of it.